Tokyo Mirage Sessions #FE takes a lot from the Shin Megami Tensei series and mixes in some Fire Emblem-flavored icing, and the results were fantastic. It's a superb RPG with a lot to offer, and is a must-have game for Wii U owners. In this year of portable RPGs, it's easy to look at Tokyo Mirage Sessions as a bone being thrown to the console audience. But even if you buy it because there's one other Nintendo-published game on the system this year, you're looking at 110+ hours for 100% completion, with a New Game+ and one of the craziest final bosses in a Nintendo published RPG in a long time. I lost multiple nights of sleep because I wanted to just keep playing. Tokyo Mirage Sessions is a great finale for this month, and I just hope there's eventually an encore. All in all, Tokyo Mirage Sessions #FE is not only one of the best Wii U games I have played in years, but also one of the best JRPGs I put my hands on in a while. If you own a Wii U, Tokyo Mirage is a must-have in your library. 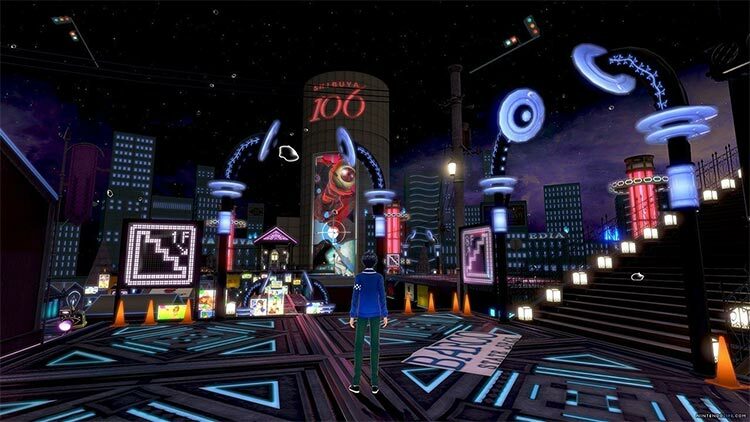 Whether you are a die-hard Shin Megami Tensei or Persona fan, this game will scratch that itch. This attention to detail creates a powerful sense of culture and place, which works well to make the characters' everyday interactions believable. Tokyo Mirage Sessions #FE is a solid RPG with its own unique style and appeal. I could do without the tedious dungeons, but I still found plenty to love about the zany ride. The colorful world, the characters, the battle system bring the whole experience together in a varied, entertaining package. Tokyo Mirage Sessions does too many things well for the small issues of load times and small hub worlds to really matter. There are very few RPGs that I wanted to see 100% completed, but darn, I am glad that it is this one. This game is nuts and is something wholly unique and special. And you know what? That is why I will be playing it again and again in the years to come. Tokyo Mirage Sessions #FE is a commendable coming together of three game franchises that have captured the hearts of JRPG fans since their inception. Unfortunately, the game doesn’t balance the three well and fails to bring up gameplay elements that made the franchises so great, leading to an experience that feels more as though you are just going along for the ride. For its beautiful style, and exciting battles, I give Tokyo Mirage Sessions #FE a 9/10. While it probably won't convince you to buy one, it is a must play for any JRPG fan who currently owns a Wii U.
Tokyo Mirage Sessions #FE has a little bit of Fire Emblem and Shin Megami Tensei for flavor, but honestly the title stands out as its own thing. Fans of Shin Megami Tensei spinoff Persona will find a lot to love: great characters, a heavy dose of Japanese entertainment, and a solid battle system. And if you're a Wii U owner, this is a great RPG to close out the system's lifespan. While this game has already released in Japan, it fizzled out for reasons I don’t understand. Tokyo Mirage Sessions #FE seems to be mostly faithful to both wildly popular games from which it draws inspiration. Hopefully it will find a second wind and catch on in NA and EU, as I’ve stumbled upon quite the treat with Tokyo Mirage Sessions. 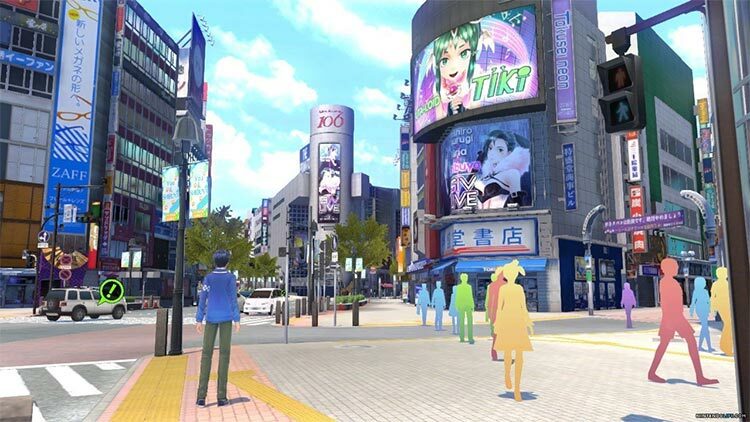 Tokyo Mirage Sessions #FE isn’t just a side note in the Persona series; it is an evolution of it by taking many of the systems that people are familiar with, but enhancing them and making them more fun to use and develop. It is a master class in JRPG making, and one of the best games in the genre that I have play in a long time. Well, probably since Persona 4 Golden! 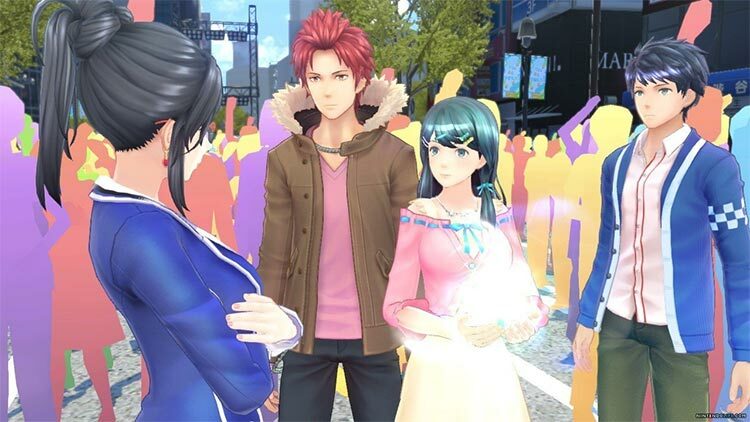 Tokyo Mirage Sessions #FE promises spectacle, and boy does it deliver—but all the flashy scenes, Fire Emblem cameos, and J-Pop in the world can’t cover up cramped world design and loads and loads of loading. I fear that perhaps Tokyo Mirage Sessions #FE might be a bit too niche for the mainstream crowd. Not only do you have to be a fan of turn-based RPGs, you also have to be a fan, or at least tolerate J-Pop culture, which permeates the game from start to finish. Seriously, you'll be watching cutscenes of song performances in this game. You also have to be willing to read subtitles, as the game doesn't come with an English dub. And lastly, you must own a Wii U.
Tokyo Mirage Sessions FE doesn't feel like Atlus took any half-measures, but by that same token, it doesn't do anything spectacular either or expand upon its previous work. While folks probably won't be rushing out to buy a Wii U for it anytime soon, the famed publisher has once again proved that it is at the top of the food chain when it comes to JRPGs. Even if the idea of pop-star superheroes is an immediate turn off, a slew of rewarding mechanics might just be enough to pull you back in. Whether you ignore the silliness or embrace it, we'd dare say that any title featuring a rocket-powered cyborg pegasus is worth investigating. Though the plot, which spans some 50 hours, is endearingly light-hearted and even funny, the character’s relationships and struggles aren’t particularly gripping – especially when compared to Atlus’ brilliant Persona series. However, Tokyo Mirage Sessions’ undeniably entertaining combat system steals the show, making it easy to overlook its shortcomings. Tokyo Mirage Sessions #FE steals the spotlight with gorgeous visuals, memorable characters, and fast-paced, slightly over the top combat. While the gameplay won't exactly feel familiar to long time Fire Emblem fans, the characters and the relationships that they share will feel comfortingly familiar. While the developers could have gone a little further to stay true to the original inspiration for the game, there's still a lot to love about the brilliant and colourful idol-centric setting. Ultimately, Tokyo Mirage Sessions #FE delivers an encore worthy performance. Tokyo Mirage Sessions ♯FE is a bizarre idea in so many ways, not least the fact that all involved must’ve known it would never sell even Japan, let alone anywhere else. And yet despite the shallow plot and characters it’s a great deal of fun and a welcome warm-up to Persona 5, whenever and however that finally appears in Europe. However, those that decide to pick up the latest Shin Megami Tensei title will be pleasantly delighted by its gameplay and dungeon deisgn. With a near barren summer release schedule this year, Tokyo Mirage Session is the perfect game to sink hours and hours into. With gameplay mechanics that are so riveting, it is a shame that the game’s title and localization will leave it forever left out of the mainstream. However, those that decide to pick up the latest Shin Megami Tensei title will be pleasantly delighted by its gameplay and dungeon deisgn. With a near barren summer release schedule this year, Tokyo Mirage Session is the perfect game to sink hours and hours into. Tokyo Mirage Sessions demuestra el gran hacer de Atlus a la hora de crear RPG tradicionales con una vuelta de tuerca a lo tradicional en ambientación y con sistemas de combate altamente adictivos, pero por desgracia no se despega para nada de aquello que ya domina. Múltiples carencias técnicas y una escasísima ambición le pasan también factura. Es una pena porque hay mimbres para mucho más. Atlus sorprende con estilo en una aventura larga, de trama interesante y profundidad combativa. A través de sus numerosas horas no todo serán buenas sensaciones, pero sí la mayor parte del tiempo. Lo hace poniendo un "skin" de Fire Emblem a las conocidas mecánicas de Shin Megami Tensei / Persona, convirtiendo en "fan-idol" un videojuego que está dedicado a los seguidores tanto de los RPG japoneses como de la propia cultura nipona. Tokyo Mirage Sessions #FE es uno de los juegos de rol japonés más originales y fascinantes que hemos visto en esta generación. Nos mete de lleno en la industria del espectáculo japonesa, nos presenta una visión muy particular de Tokio y también nos lleva a una dimensión paralela llena de sorpresas. Estamos ante un juego que, ante todo, cumple con su cometido: proveernos de una experiencia divertida, y un homenaje a la cultura j-pop más exitosa en oriente. Tokyo Mirage Sessions #FE es capaz de hacernos disfrutar sin salir de su género, pero a la vez marcarse ciertos detalles más que interesante en lo que a jugabilidad de los combates se refiere. No podemos decir que sea tan distinto de otros juegos de la serie Persona, aunque sea un poco más predecible y menos inspirado en su guión. Con todo, una buena experiencia para el amante del Japón moderno, y otro buen título para tu Wii U. Recomendable, aunque con algunas reservas. Tokyo Mirage Sessions #FE es una de las sorpresas más agradables que nos ha dejado Wii U en su breve pero intensa existencia. Toda una rareza destinada a un público muy concreto y de nicho que esconde una aventura de rol japonés tan clásica como disfrutable, con la única y gran peculiaridad de contar con una historia, ambientación y temática de lo más atípica que no será plato del gusto de todos. Tokyo Mirage Sessions #FE es un JRPG altamente recomendable, sobre todo para aquellos que aman fervientemente las series de Shin Megami Tensei o Persona y, en menor media, los de Fire Emblem. Su espectacular diseño de combates y vistosas animaciones en conjunto a su memorable elenco de personajes y genial desenvolvimiento de su trama lo convierten en un título que muchas personas podrán disfrutar, aún y si no jugadores asiduos del género de rol. Während mit Square ein alter Haudegen des klassischen japanischen Rollenspiels mit seinen Traditionen und der Moderne kämpft, geht Atlus unbeirrt seinen Weg und zementiert seinen Ruf als JRPG-Spezialist erster Güteklasse. Ja: Das als Shin Megami Tensei X Fire Emblem gestartete und mittlerweile als Tokyo Mirage Sessions #FE veröffentliche Abenteuer ist hinsichtlich der Mechanik und der Präsentationsschleifen (Gespräch, Levelerforschung, Kampf usw.) so konservativ wie das Artdesign knallbunt und poppig. Tokyo Mirage Sessions #FE n’est pas tant un jeu sur la J-pop qu’un RPG sur l’amour de la J-pop et de la pop culture japonaise dans son ensemble. 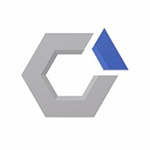 Plus sucré que la plus sucrée des guimauves, lucide sur son contenu et acide par moments, Atlus s’est offert une fan-fiction. Si géniale et crétine à la fois qu’il est difficile de prédire la réaction du joueur. Tokyo Mirage Sessions #FE fait dans le J-RPG classique, et il le fait plutôt bien. Si on aurait aimé un peu plus de variation en ce qui concerne les combats, avoir les bonnes sessions selon les ennemis demande un minimum d'organisation et la tournure puzzle des donjons est fort bienvenue. Os fãs de Fire Emblem não vão encontrar aqui muitos elementos da série da Intelligent Systems neste título mas, tal como os fãs de JRPGs que podem ficar com reservas devido à temática J-pop e história desinspirada, devem considerar Tokyo Mirage Sessions #FE devido ao combate, exploração, longevidade e qualidade geral do jogo. Non è facile suggerire l'acquisto di un titolo come Tokyo Mirage Sessions #FE, perché se già i JRPG sono un genere di nicchia, l'esperimento firmato Atlus e Nintendo rientra in una nicchia ancora più minuscola. 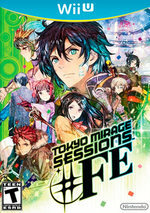 Abbandonando gli stereotipi del fantasy o della fantascienza, Tokyo Mirage Sessions #FE ne abbraccia altri in un contesto mondano, imperniando una storia e una caratterizzazione del cast non proprio eccellenti sulle dinamiche dell'industria dell'intrattenimento. A condizione che non vi aspettiate di trovarvi dinanzi a figure note o ad un mash up di Shin Megami Tensei e Fire Emblem, e che il vostro inglese sia quantomeno buono, questo è un prodotto che merita una raccomandazione, non fosse che per il solido combat system e il profondo e variegato sistema di crescita dei personaggi. 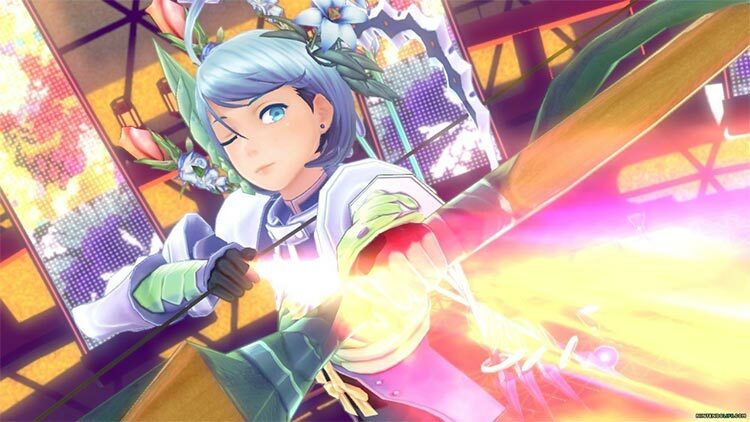 Tokyo Mirage Sessions #FE è un jRPG curato, ricco di fan service, rimandi alle due serie di riferimento e una componente visiva e artistica davvero eccellente. 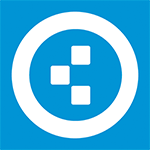 È un titolo profondo e in grado di intrattenere per un immenso numero di ore. Allo stesso modo patisce quei problemi classici del suo stesso genere, che minano il ritmo e appesantiscono l'intera esperienza. Tokyo Mirage Sessions #FE is een uitstekende en diepgaande RPG geworden. De kleurrijke graphics, originele invalshoek van het verhaal, diepgaande gevechten en grote hoeveelheid content bieden zeker waar voor je geld. Het is jammer dat er hier en daar wat onderdelen niet vertaald zijn, maar dat doet geen afbreuk aan de totale ervaring. Dat een cross-over van Shin Megami Tensei van Atlus en Fire Emblem van Nintendo zou eindigen in Tokyo Mirage Sessions #FE, had niemand verwacht. Het resultaat is echter wel een vrij unieke JRPG volgens het boekje die het beste pakt van zowel Shin Megami Tensei als van Fire Emblem. 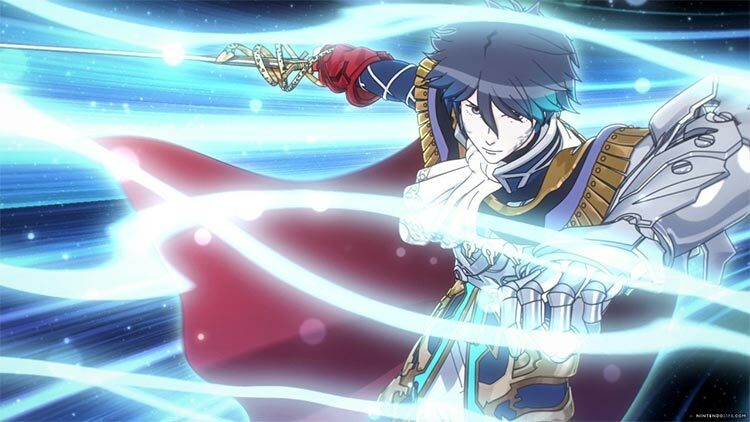 Voor fans van het donkere Shin Megami Tensei of het strategische Fire Emblem is Tokyo Mirage Sessions #FE misschien even wat anders, maar waar het op neer komt is dat Wii U bezitters er weer een toffe RPG bij hebben. Tokyo Mirage Sessions #FE är för mig årets överraskning hittills och precis det som krävdes för att få Wii Us sista verser att sluta i dur. Är man Wii U-ägare bör man definitivt kolla in denna mysiga pärla, kanske i väntan på nya Persona 5 eller om man bara vill ha något riktigt kul tidsfördriv.